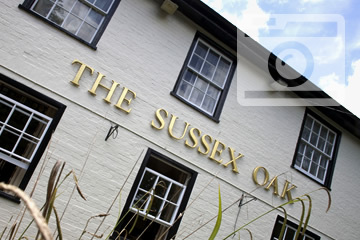 We are a country pub situated deep in the heart of Sussex. Superb range of beers and lagers, with regular guest ales. 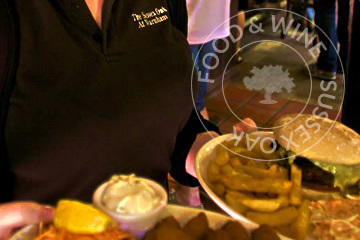 From snacks, to lite bites, to fine wine dining. 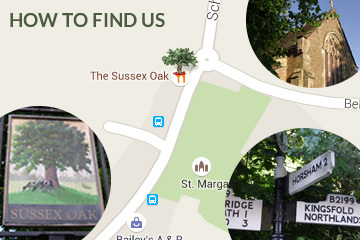 We are a country pub situated deep in the heart of Sussex, supporting our community and local breweries. Come and enjoy the finest ales, wines and spirits selected for quality, and excellent food created from fresh local ingredients. We have been in the Good Beer Guide for fifteen years in a row, which equates to over a million pints of Good Beer! We are proud to hold the CASK Marque Award for quality, and even prouder to support our nominated charity - the Sussex Air Ambulance. So, pop in, come and say hello if you are passing, or enjoy some well deserved refreshment at the end of one of the many beautiful walks in the area. For further information or booking details just send us an email or give us a call, or use the contact form, we would love to hear from you. Private booking is also available, so please just get in touch and we would be happy to help. Free, high speed WIFI is available throughout the restaurant. Oh, and have you tried the ice cream here... you won't believe how nice it is. See you soon. With great train links, bus services, our large car park, and our favourite - some of the most beautiful walking country in the land, however you get here, you will have a great time. Fine Dining, fine wine, or lite bites and a quick drink. Whatever your occasion, we have the perfect answer. Take a look at our delicious menus which have just been refreshed. To raise funds for our nomiated charity & an excuse to have some fun we host many regular events each year, of which you are very welcome to attend. Plus images of the Oak & our beautiful surroundings. New boules court for all to enjoy! We’re pleased to announce that The Sussex Oak at Warnham has been recognized with a 2017 Certificate of Excellence, based on the consistently great reviews we have earned on TripAdvisor. Join us on facebook, and give us a 'like'! Email us, or join us on Facebook !